Polish Eastern Partnership initiative supported by Sweden and later by other EU countries was a step meant to bolster European ambitions of Moldova and Ukraine. But putting Moldova and Ukraine at the same context with Azerbaijan, Georgia, Belarus and Armenia – countries that except Georgia ether don’t have European aspirations or they are not relevant in the existing conjuncture – diminishes the appeal of the Eastern Partnership for both countries. What distinguishes Moldova from other Eastern partnership countries besides its small dimensions and geographical approximation to the EU is its ethnic, linguistic, historical and cultural approximation to Romania, which already is a member of the EU. This particularity is a clear entitlement for Moldova to become one day a member of the EU. At the same time Moldova’s approximation to Romania poses additional challenges as it opens way for the speculations on unification of Moldova with Romania as a more adequate way of the European integration for Moldova. This creates a protracted internal conflict inside of the Moldovan society and gives a reason d’état to existence of a breakaway Transnistria – the only place where the Soviet August Putsch of 1991 has succeeded and continues to triumph. The clear cut European prospective for Moldova as an independent country would offset these contradictions, encourage reintegration of Moldova with Transnistria and facilitate democratization and modernization of the country. Lack of European prospective is actively used by Russia opposing to the European Integration of Moldova. Russia considers Moldova a part of its privileged sphere of influence. Pro-Russian organizations in Moldova (so called “professional Russians”) accentuate the idea that ‘nobody expects Moldova in the EU’. Another Russia’s mantra is the idea that the EU will stop existing soon and therefore Moldovans have to t ake this into account. The same ideas are shared by the unionists - conservative nationalists, promoting the idea of unification with Romania vs. European integration. Unofficially since 2004 Moscow promotes ’ the idea of unification of Moldova and Romania leaving Transnistria under the Russian protectorate. The ‘Kaliningrad on Dniestr’ plan offers Russia foothold for its army, control over Ukraine and an outreach to the Balkans. In fact the plan with initial slogan ‘Bessarabia vs. Transnistria’ was designed as a swop of the territories between Russia and Romania. It was launched by Russian political operative Stanislav Belkovsky in Bucharest in 2004 after the last minute rejection by Chisinau of the infamous ‘Plan Kozak’. The Plan was designed by Moscow and implyed federalization of Moldova with Transnistria, Gagauzia and Chisinau as equal components of the federation. Belkovsky Plan intends to use allegedly dormant energy of longtime desire of Romanians to reunite in one state as well as the European aspirations of the rest of Moldovans speculating that this is the only way for Moldova to get integrated with the EU. In reality the idea of unification of Moldova with Romania gets in direct contradiction with the idea of European integration because its implementation needs two preconditions – artificial stirring up of the Romanian nationalism in Moldova what leads to polarization of the society and bankrupting the nationhood of the Republic of Moldova, what we witness in inability of electing of the President of the country for more than two years period. In 2004 the Plan was deemed as diversion by some Romanian aand Moldovan experts and absolutely unrealistic by others despite the Belkovsky’s persistent remark: “Putin supports the Plan on 98 percents, but he would like to be convinced on 101% in order to start to act”. The same year Belkovsky established three subsidiaries of his Institute for National Strategy in Tiraspol, Chisinau and Bucharest as an infrastructure for the ‘Plan B’ implementation. As he explained initially his institute was created with a purpose of “myths creation and their management’ and proved to be quite succesful in this. Belkovsky positions himself as a critic of Putin in fact is one of his most talented shadow spin-doctors . He became famous by offering to Putin an ideological basis for the arrest of Hodorkovsky by issuing the report “State and Oligarchy”. Not less prominent but less studied is his role in Ukrainian post-Orange Revolution history where he managed stiring infight in Orange camp what led to Yanukovych return in power. Lately Russia managed to strengthen its position in Moldova and Romania. As the situation in the EU started to deteriorate Moscow advanced a precondition for the unification of Moldova with Romania – Romania’s withdrawal from the NATO and eventually from the EU. Russian ideologist of the ‘Conservative Revolution’, neo-eurazist Alexandr Dugin, known as Putin’s guru, goes even further stating in his viral article ‘Russia and Great Moldova’ that the unification should lead to the co-option of Bulgaria and other Balkan states in Russia’s sphere of influence. In this context Dugin sees even Transnistria as a part of the ‘Great Romania’ or as he suggests of ”Great Moldova’ – a new national state including Transnistria, Moldova and Romania. Presumed role of Transnistria in this scenario is to expand the limits of the ‘Russian world’ as wide as possible. 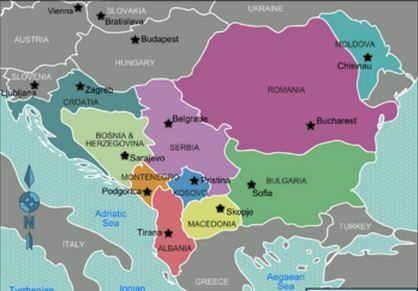 Russia expects that Orthodox Bulgaria, Balkan states and ailing Greece will join Putin’s mega-project later. Despite the obvious contradiction of the unification project with the Russian official position of reintegration of Moldova with Transnistria this approach is not completely irrational taking into account the EU’s weakened state, growing Russian influence in the EU on the states level and quuick rise of the nationalism in Europe. The unification combined with Romania’s abandon of NATO and the EU would create for Russia a strong Ortodox national state ally. This would work as a trigger for the dissolution of the currently wobbly EU once Moscow’s expectations for the orthodox Greece leaving the EU as a result of the default didn’t materialize yet. Dugin didn’t mention the rate of approval of the idea of ‘Great Moldova’ by Putin, but despite the extravagance of his ideas they are quite influential. Dugin himself claims the credit for the Conservative Revolution which as he says was recently accomplished in Russia. 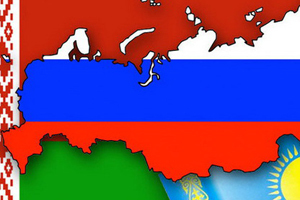 In 2009 ‘Edinaya Rossia’ proclaimed ‘Russian conservatism’ its official doctrine. Dugin’s Center for Conservative studies was created as a laboratory working on a new global ideology comparable with the communist one, which would be able to reestablish Russia as a super power again. In 2005 Dugin qualified the Ukrainian Orange Revolution as a ‘Network-centric War’ of the West against Russia and insisted that Russia must retaliate. “Otherwise another Orange Revolution will happen in Russia already in 2008”, – concluded Dugin. Otherwise he emphasized that being an empire is an ‘intellectual imperative’ for Russia: “When Russia doesn’t attack and expand she starts to disintegrate from inside”. In 2007 picking up Dugin’s retaliation theme Putin declared that Russia will invest in “democratization of the West” as much as the West invests in democratization of Russia. In fact Russia started to create its own networks at the West, promoting Russian goals. Experts compare this activity with the Soviet support of pro-peace organisations at the West as a fronts advancing Soviet foreign policy agenda. This activity was stoped when the oil prices collapsed. ’We are obliged to do this now when the oil revenues are growing’ – stated Putin. Since then Dugin is busy building ‘conservative revolution’ networks at the West at the intellectual levels ranging from think tanks to ultra-right organizations. On the ground work ’conservative practitioners’ Andranik Migranyanin New-York, and Natalia Narochnitskaya in Paris as a heads of the Institute of Democracy and Cooperation, initiated by Putin and financed by the ’Russian patriotic business’, duty-bound for buying Western media outlets and using business connections for advancing Russian influence at the West. Since 2007 Russia’s influence at the West multiplied but nobody pays attention to this as now Russians presumably act from the ‘liberal’ position, not communist as it was in 60-s. On the ground this means financial and organisational support of the fringe anti-establishment anarchist movements both ultra-right and ultra-left and in such way polarisation and weakening of the Western countries’ societies and European/American unity. Russia attempts to replace the existing political class with the radical and incompetent newcomers totally loyal to their invisible sponsors. Closest to Dugin ‘conservative ideology’ is Romanian ideologist of the “conservative revolution”, leader of the ‘Iron Guard’ Corneliu Zelea Codreanu. ‘Legionnaire’s movement’ led by him is regarded as a kind of fascist based on the Orthodoxy fundamentalism what resonates with Dugin’s obsession with the Orthodoxy as a central piece of his Conservative revolution concept. Dugin admires ‘spiritual nature’ of the Romanian ‘Iron Guard’, its sacral ‘death cult’: ‘dead heroes’ spirits are always present strengthening the Guard – everyone who kills an opponent of the Guard is regarded as a hero. Despite the rather controversial attitude to Romanians in Russia Corneliu Zelea Codreanu is a cult figure for the members of the Eurasian Youth Union, created by Dugin. On the grave of the founder of the legionary movement Corneliu Zelea Codreanu they (leaders of the Russian and Romanian movements) swore “bravely and steadfastly implement in our countries Orthodox Revolution. In modern terms, this means one thing: Ukraine should not exist, under any circumstances. To do this our nations must link up. Border of Holy Russia must merge with the border of Romania Mare. The actual garbage of history will be burned and scattered to the winds. As some experts point out created by Russian political operatives ultra-right networks in Transnistria, Romania and Moldova are used as ‘infrastructure’ for different scenarios. One of their ‘joint ventures’ was peaceful youth anti-communist protest at the 7th of April 2009 transformed by still unknown instigators in riots and followed by the cruel communist crackdown. There are indirect evidences (direct evidences disappeared with the communists when they left power), that instigators of the riots were brought from Transnistria. Dubbed the ‘Twitter revolution’ revolt was immediately proclaimed by Belkovsky “a start of the irreversible process of incorporation of Moldova into Romania’ . Despite the general conviction and indirect evidences of Russia’s involvement in this event still is not recognized officially – presumably for the reason of ‘political inexpediency’ of such step or desire to capitalize on the ‘damaging evidence’ in future. The problem is that hiding the results of investigation doesn’t rescue Russian reputation, but predictably leads to repetition of similar cases in Moldova and other places. ‘Great Moldova scenario’ makes part of Dugin’s ‘Geopolitical Revolution’ agenda. But for implementation of this scenario the initiative has to come not from Russian, Romanian or Moldovan politicians as they don’t want openly to promote doubtful idea which neither suit international rules nor has clear justification. The idea is not popular in Moldova – about 30% of Moldovans and 40% of Romanians are rather ‘not against’ than ‘for’ the Unification. At the same time Romanian politicians cannot reject the idea of unification as this would destroy their popularity. In Moldova an alliance of two “Unionist” parties which openly promotes the idea of Unification stably gets its 1% approval. Lately sponsored by Moscow social engineers try to inject the idea of the Unification at the level of anonymous grassroots. After the script this should look like a genuine ‘popular uprising, which politicians are just obliged to take into account’. The main slogan of the Unification campaign is ‘Bassarabia is Romania’. In Transnistria accordingly there is another slogan promoted : ‘Transnistria is Russia’. On Dugin’s Evrasia.net site one can see a slogan “Kosovo is Serbia”. The project uniting under umbrella of the ‘Bessarabia and Bucovina for unification with Romania’ about 30 loose organizations is lavishly funded. The movement applies approach of the American ‘Tea Party’ – a conservative anti-establishment movement officially born in 2009, but initiated at the end of 2007. 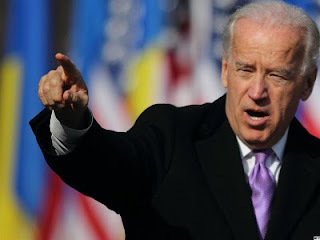 The Tea Party grew vertiginously due to the social networks and Fox News TV channel. In Moldova at the first anniversary of Twitter revolution the news TV channel PublikaTV with the slogan “More than just TV” was launched by Romanian oligarch Ovidiu Vintu. Russia likes to point out ‘Romanian involvement’, but in fact Vintu is the main longtime Romanian partner of Belkovsky. Initially PublikaTV was financed from Romania and Transnistria sources. Lately PublikaTV and a couple of affiliated media outlets were bought by a local Media Holding controlled by Russian Gazprom. PublikaTV most of the time kept neutral approach trying to win the trust of Moldovans, but at decisive moments takes a blatantly pro-Russian stance. Few weeks ago Publika’s site published an introduction to theManifest of the Conservative Movement inspired, as it mentions, by ultra-right Corneliu Zelea Codreanu, ‘Proiect Rossia’ and Dugin. The symbol of the movement clearly resembles the “Iron Guard” sign – black cross on the green background. There are opinions in Moldova that the Manifest resembles Breivik’s manifest. Experts point out pronounced anti-EU agenda of the nascent movement. Despite the fact that the president of Romania Traian Basescu is regularly accused as a pro-unification politician he is dedicated to the European and Euro-Atlantic ‘liberal ideology’ and manages for now to contain erratic developments – the reason why he is vehemently hated by the Russian pro-Kremlin media. But after the new presidential elections in Romania the balance of power will shift in favour of pro-Russian forces in Bucharest what finally could lead to implementation of the ‘Great Moldova’ scenario, disturbing for the EU not only as a dissolution trend, but also by generating a chain of revisionist uprisings inside and around Romania. “Movement for Bessarabia and Bukovina” targets both Ukraine and Moldova. At the same time this naturally fits in Putin’s concept of ‘managed chaos’ aftermath of which as Russian ideologists preach would multiply Russia’s political clout in the Europe and in the World. Moldova missed its chance to reunite with Romania in 90-s because of pressure from Russia and loyalty of the leader of the National Salvation Front Ion Ilisecu to Moscow. Now twice president of Romania Iliescu is still one of the most influential politicians in Romania as well as he is still loyal to Moscow. Moscow exercises strong influence over some Romanian and Moldovan business moguls in such way controlling influential media, political parties (USL) both left and right and a bunch of pro-unionist ‘grassroots’. This creates a critical mass of communications tools presumably enough to produce a change of mind of the public both in Moldova and Romania. As one Romanian expert mentioned: ‘National feelings are much deeper and stronger than the idea of European integration – the process which can be easily reversed”. 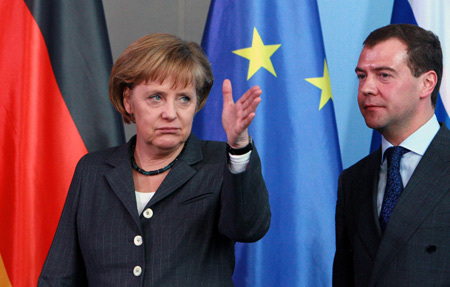 In fact the unification scenario makes part of a bigger fight between the concepts of the postmodern state and the national state, which was officially launched by Russian president Medvedev in his Berlin speech at June 5, 2008 in his new “Pan-European Security Pact”, but was unjustly overlooked by the experts and politicians in Europe. I propose that we consider holding a general European summit to start the process of drafting this agreement. Absolutely all European countries should take part in this summit as individual countries, leaving aside any allegiances to blocs or other groups. National interests stripped bare of any distorting ideological motivations should be the starting point for all taking part. To be fair later in the same speech Medvedev pointed out: ‘Russia does not need chaos and uncertainty in today’s world. We have no interests that need to be guaranteed through such perverse mean’. Medvedev’s initiative was first ignored, later downplayed, but obviously Moscow didn’t give up and continue to actively advance its agenda on the ground in less evident way. Launched by Poland the Eastern Partnership Initiative deemed by Russia as the EU’s attempt to take control over her ‘backyard’ stimulated Russia’s growing involvement in Moldova’s domestic political affairs. Russia’s restless meddling explains inability of the Moldovan parliament to elect president. After the acting President Marian Lupu at the latest moment at the end of 2010 refused to form a ruling coalition with the communists as Russia insisted the communists block the elections of the president. 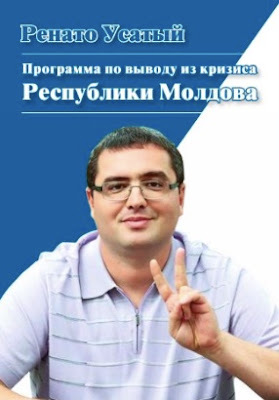 On the other hand one of the key Moldovan politicians inspired by Moscow feels himself already a president of the unified ‘Great Moldova’. 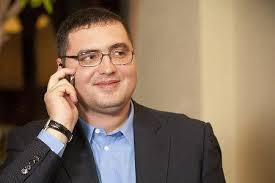 Concentrating on this particular outcome he is absolutely intransigent claiming necessity of transforming Moldova in the presidential republic what would make unification process easier. At the same Russia has yet to choose from the existing scenarios for Moldova – ‘Trasnistrization’ of Moldova inside of the CIS, ‘Kaliningrad on the Dniestr’ with Moldova joining Romania or Great Romania uniting Romania, Moldova and Transnistria outside of the NATO and the EU as a precondition for the Western Balkans to join the Russian Eurazian project. There are Moldovan and Romanian politicians who would like to remain in history as great ‘unificators’. But first the idea should become popular what ‘propaganda as usual’ with the help of the new communications tools can assure. Nevertheless for now Moldova is far of being the top priority for Russia who at the moment is busy with more important developments, which can introduce some corrections to the existent scenarios. At the mean time Moldova and Romania at the level of governments launched the process of latent integration synchronizing work of both governments and implementing the idea of transforming Moldova in South-East Region of Romania. At the same time Transnistria from 2009 actively harmonizes its legislation and institutes with Russia’s under auspices of the Russian Embassy to Chisinau. When the critical mass of change on two sides will be achieved and will reach a point of no return the EU will be acknowledged about this. Obviously it’s better to prevent the negative situation than to deal with it when it will become too chaotic and unmanageable for the EU. The offering of the EU membership prospective to Moldova would prevent Europe from this surrealist scenario as Moldova will be increasingly resolute on its European integration way and not vulnerable to provocations.